Facing severe backlash for his controversial response to a fan, India captain Virat Kohli Thursday said that he is all for "freedom of choice" urging fans to "take it light". 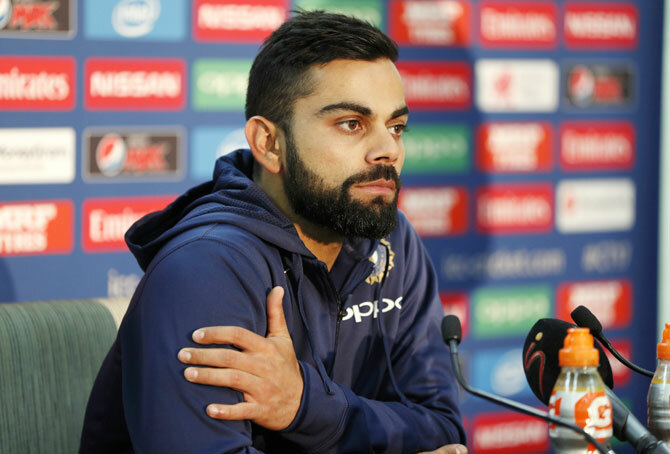 Kohli's comments, suggesting a local cricket fan relocate to another country for preferring to watch English or Australian batsmen, have met with criticism. "I guess trolling isn't for me guys, I'll stick to getting trolled! I spoke about how "these Indians" was mentioned in the comment and that's all. I'm all for freedom of choice. Keep it light guys and enjoy the festive season. Love and peace to all," said Kohli, who was in a damage control mode. Kohli’s remarks evoked sharp reactions as people on social media pulled out a 2008 video, in which Kohli, then captain of the India under-19 team, described South African Herschelle Gibbs as his favourite batsman. Married to Bollywood actress Anushka Sharma, 30-year-old Kohli is the biggest name in Indian cricket and his face is plastered on billboards across the cricket-obsessed country of 1.3 billion. One fan, however, said Kohli may have had a brain fade moment and shouldn't be attacked.